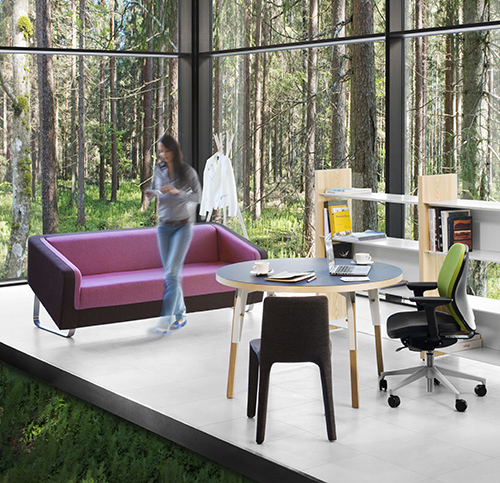 The freshest member of Thulema’s product family, Somus has been nominated for the Estonian product design award Bruno! Please visit the nominees’ exhibition September 10 – 23rd at Viru Keskus. 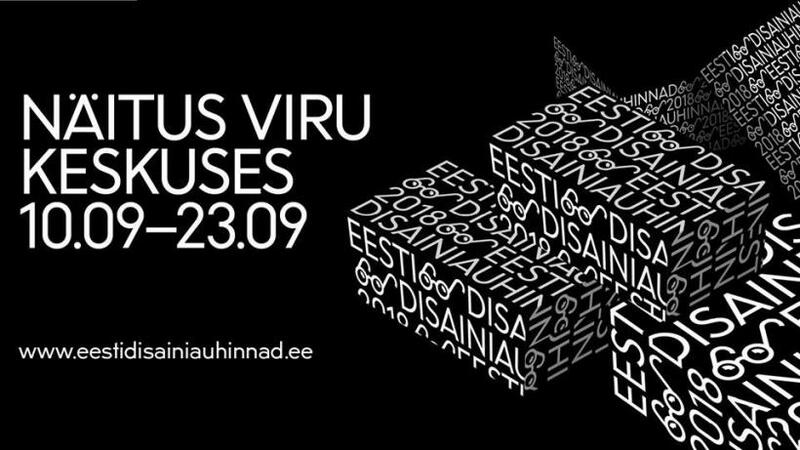 We cordially invite you to the events in our showroom at the Tallinn Design Festival Disainiöö 2018! More detailed information below. 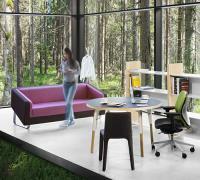 During the Design Festival week September 10 to 14th Thulema showroom is also open longer: 9 – 18. Light has a huge effect on people. It does not just enable us to see. It also stimulates us and affects our mood and activity. As we spend a lot of our time indoors, especially in winter, the qualities of artificial lighting around us are important. Human centric lighting solutions support people’s circadian rhythm, improve concentration, prevent sleep issues and improve our wellbeing as a whole. This is possible due to the latest knowledge of the biological effects of light, and the latest innovations in lighting technology. Valdo Ruul is here to give an introduction to the issue, and to present the smart light fittings and lighting systems by Luxo/Glamox. Today’s work needs new practices and tomorrow’s spaces. The designer of many Thulema’s products, Martin Pärn lectures about the ways we will work in our office soon. The concept of dynamic sitting ensures a healthy back and is partly responsible for the huge success of the Wagner collection. Karsten Buchfelner from Wagner-Living will introduce their latest product developments like the multiple awarded D1 collection, and present a wide portfolio of design products for well-being in all areas. In August, Kitman Thulema activated a new powder technology-based finishing line. The new technology will allow the introduction of a number of significant changes affecting the quality. Significant improvement in the quality of finishing, increases in overall productivity, and most importantly – through the phosphate free pretreatment of components – the environmental impact is reduced. The pretreatment is designed to clean all dirt, grease and particles from the treated material before finishing. In addition, pretreatment gives the coating a favorable adhesion surface and improves the corrosion resistance of the components. Traditionally, in the capacity of the pretreatment and coating, on the metal parts of the furniture to be installed indoors was also used the so-called ‘iron phosphate’ process. However, we have eliminated the use of phosphates! Phosphates have had adverse impacts on the environment because they contain large amounts of phosphoric acid or phosphate. Phosphates cause strong eutrophication of water bodies, and therefore, the EU has banned the use thereof, for example, in household detergents. Iron phosphating also produces a lot of sediment, which should be treated as hazardous waste. The new technology and method does not contain phosphates; the detergent surfactant is completely biodegradable – thus we are able to minimize the burden on the environment. 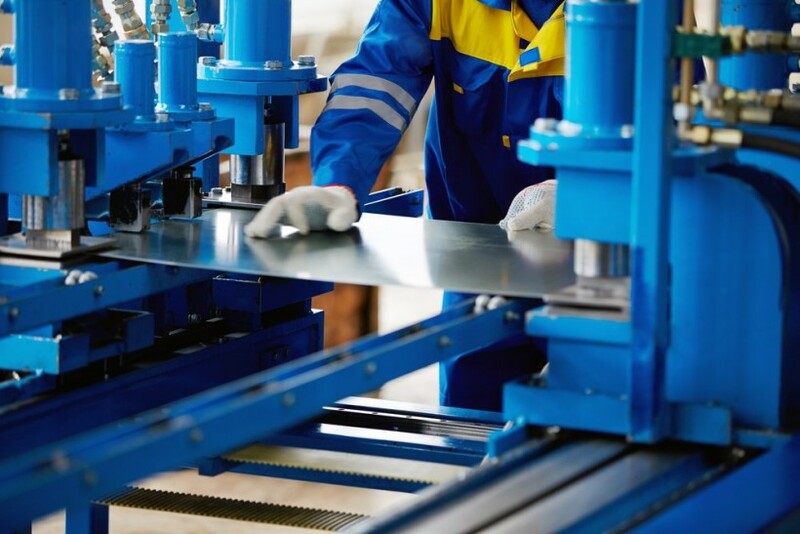 We will use the new technology in the production of the various parts of tables and office furniture, shelves, school furniture and upholstered furniture. We introduced the new finishing line with the help of the EAS program “Support of a large investor for an industrial undertaking” in the course of which an investment was made in Kitman Thulema production technology in the volume of 3.24 million EUR, of which the EAS support amounted to EUR 800,000, the remainder was self-financed by Thulema. To help make daily work faster and more convenient, we want to give you the best tools. We have completed the application ThulemaCAD, which allows the use of all products of Thulema in 2D or 3D mechanical design in the AutoCAD environment. The application is made unique by the opportunity to automatically generate the specification of the furniture in the figure, together with the approximate cost. Thulema product range is complemented by new entrants – a series of robust Kiri tables with clear expression and shelving system Kord. Kiri tables are covered with natural linoleum, ashen legs and sheet steel fixing structure create a modern and fresh whole. 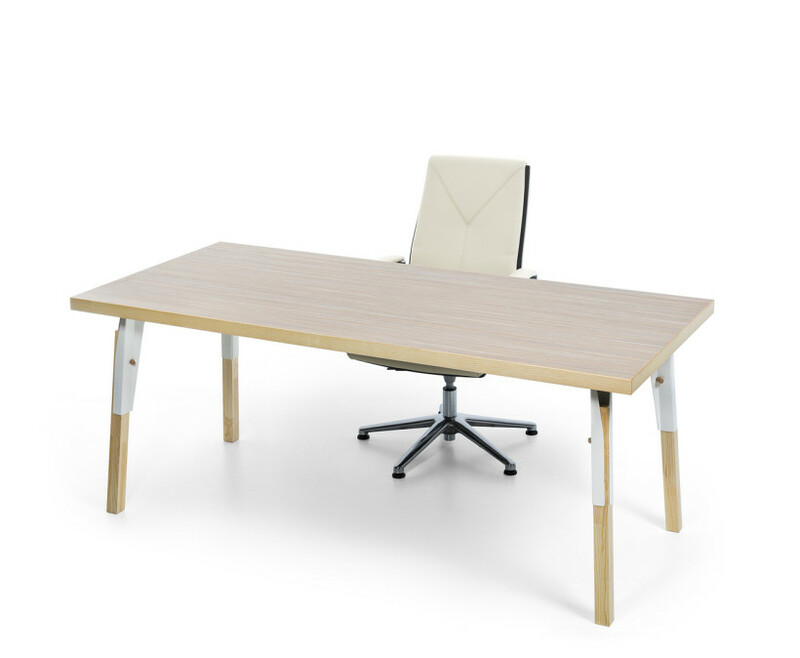 The series includes desks, meeting table and a round table for smaller gatherings. In addition you can choose a woolen cloth screen to cover the base of the table, a table-top screen or an elegant and distinctive pencil drawer. The desks are height-adjustable. Kord shelving system is a simple and specific modular. In the creating of the system the main keywords were the comfort of the end-user, the ease of assembly as well as practical dimensions. Clever design allows you to place the back walls on all sides, making it possible to use the furniture in a two-sided way. There are two possible heights: low version with three and high version with five shelves. Kiri and Kord form a whole and together they create an environment at the office that feels cozy as home and businesslike at the same time. 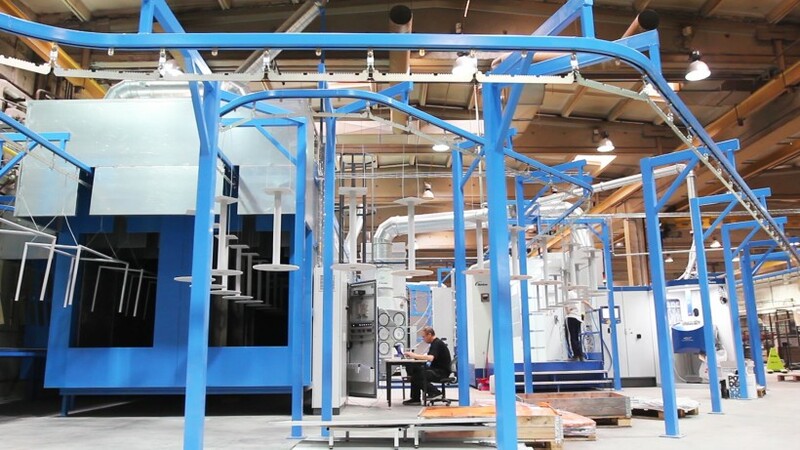 Kitman Thulema AS renews its machinery park and doubles its production capability with the help of Estonian Enterprise. The project means making an investment of 3,24mil EUR – 800 000 EUR is the subsidy given by Estonian Enterprise, the rest is self-financed. During the construction and a large-scale reorganization Kitman Thulema AS replaces 14 pieces of equipment – this helps to adjust everyday logistics of the manufacturing process and to increase the efficiency as well. Project activities must be completed no later than 31st of August.